Excellent shave this morning. 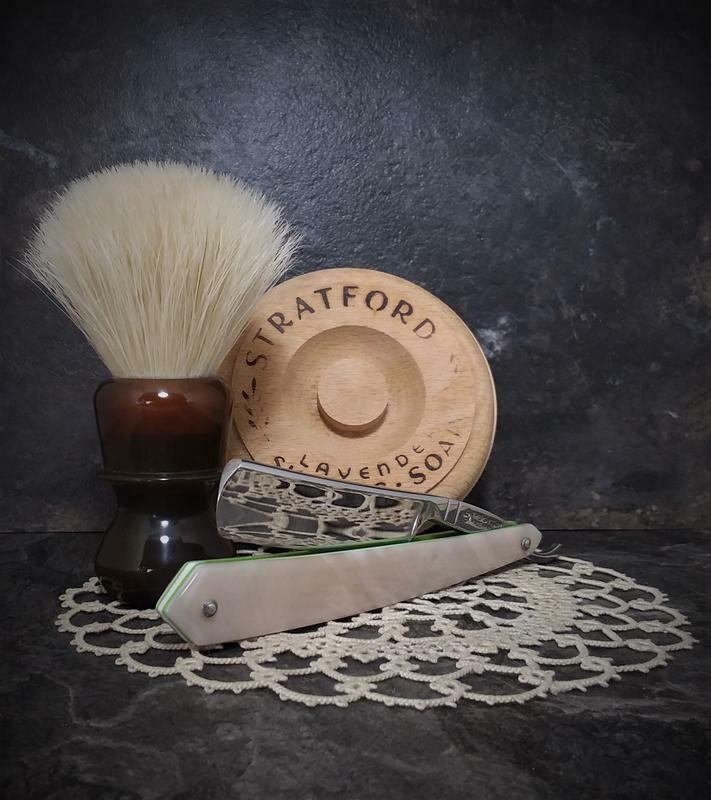 I picked up Stratford shaving soap at a flea market last summer figuring it was a tallow soap. Well, lavender has nothing to do with the scent of this soap it's more of a musty basement scent but the post shave feel was great. Today's straight is a Max Sprecher 7/8 Spanish Point, 1/4 hollow, in Mokume Gane Cobaltium scales. A very nice shaver. 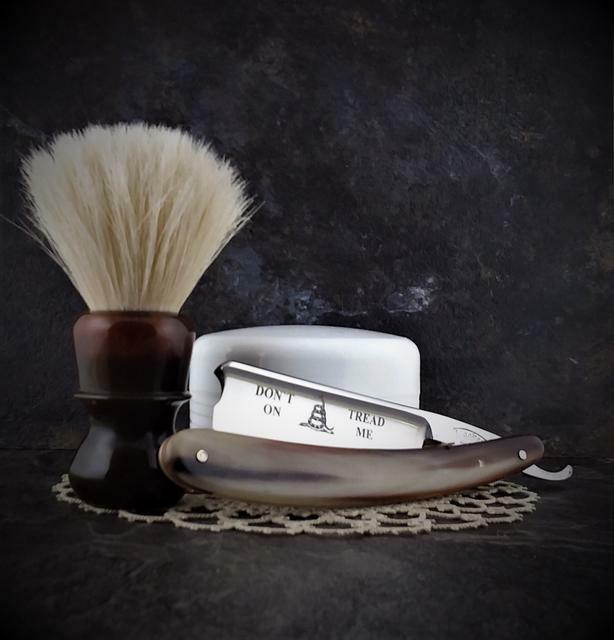 Sunday's shave: Tim Zowada custom 6/8, 1/2 hollow, Mammoth ivory scales. 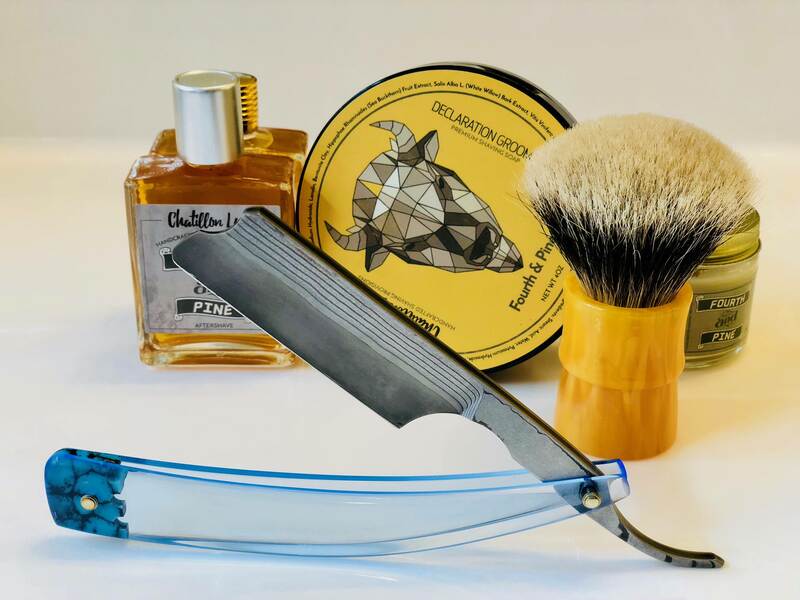 (04-22-2018, 11:03 AM)evnpar Wrote: Sunday's shave: Tim Zowada custom 6/8, 1/2 hollow, Mammoth ivory scales. (04-22-2018, 12:55 PM)oscar11 Wrote: Very nice Richard! 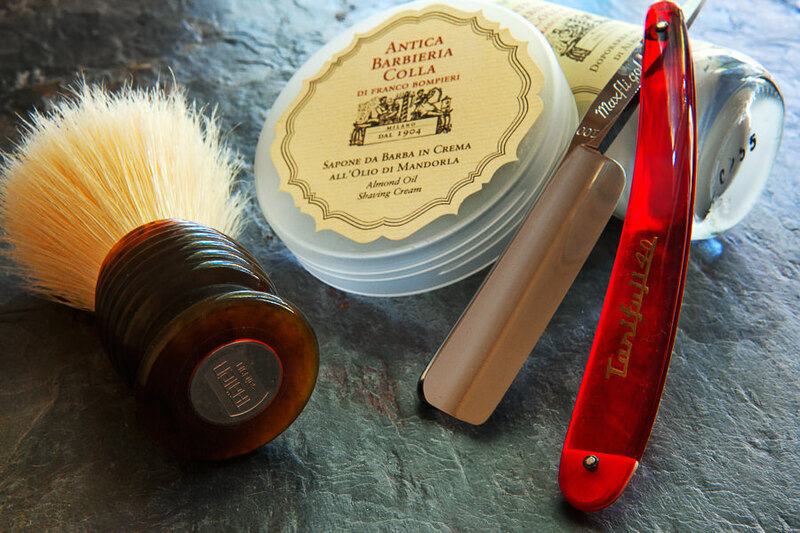 Monday morning shave: Tanifuji Maxfligold, a terrific shaver, as are most Tanifuji razors. Nice shave this morning. 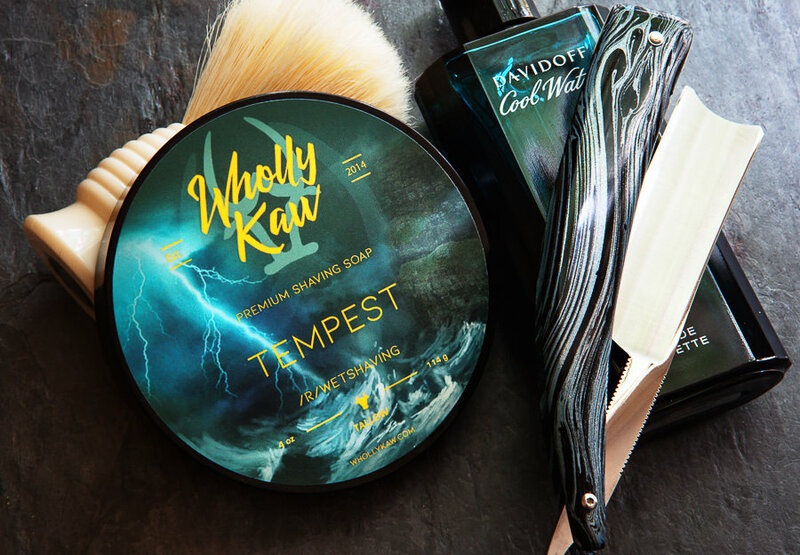 I'm disappointed with this soap absolutely no vetiver scent, it's nice but citrus. I'm finally satisfied with the Thater, no more prickliness at all and it'll be a good brush. I'll let the rest of the break in happen naturally. 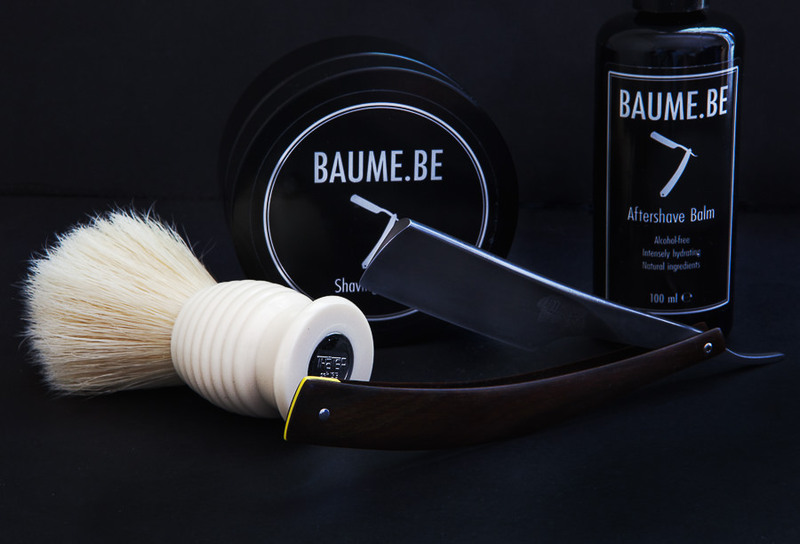 I'll be using the ABC brush next shave. I made up a brush with an Omega 49 yesterday with a loft of 55mm. I'm done messing around with boars for awhile. I'm just going to use them. Have a good one. Lotta great looking razors on this thread. Wow. I love your new red Koraat, Jamie. Both your blue and red are on the darker side, and are just stunning. Of course, these razors are great shavers. 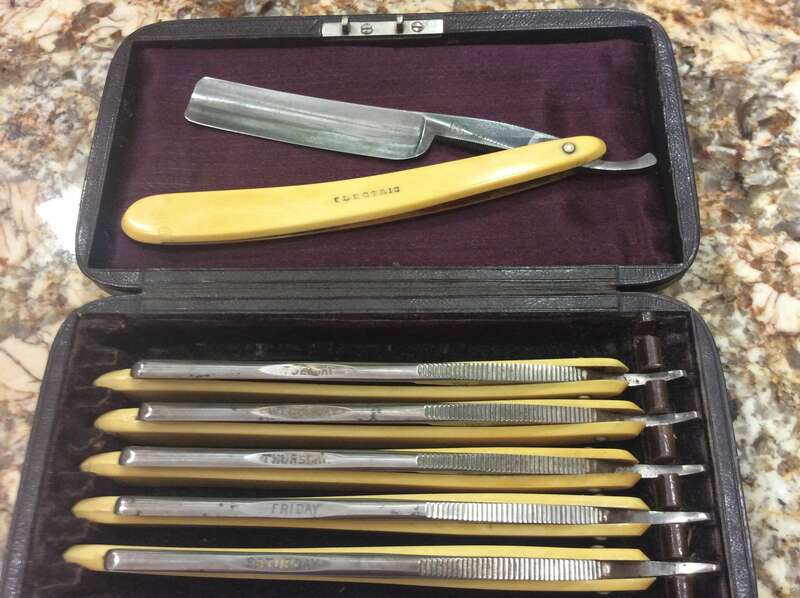 Thank you Richard, yes Koraat razors especially those 14-2.0 bellied full hollows they are great shavers, I'm surprised you haven't added one to your fine collection yet. 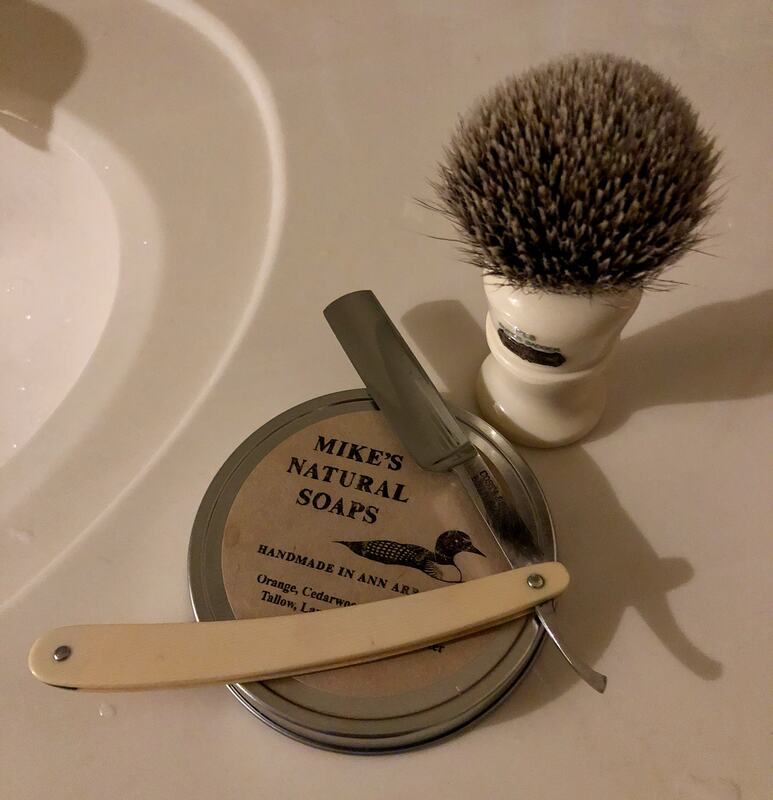 Not a fancy picture, and certainly not a fancy razor, but I just had one of my best shaves yet, so I felt like posting. I rotate about a dozen razors, but this was the first one I ever bought. Costa and Sons (HM Christensen, Boston). 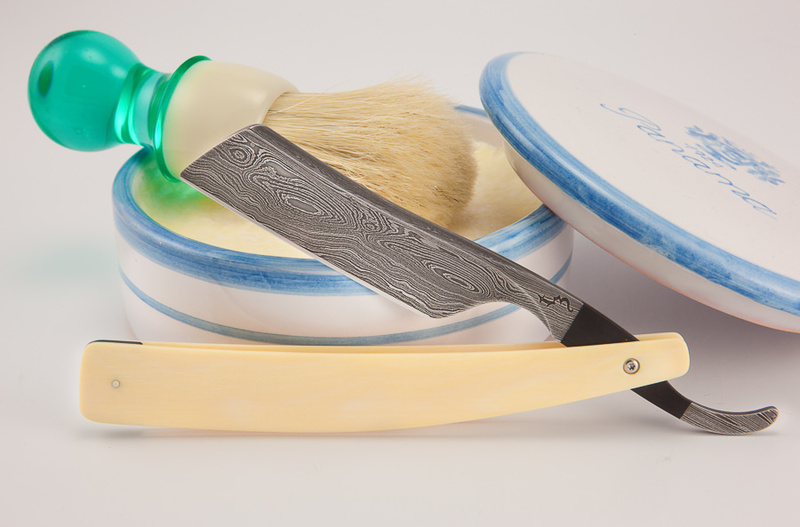 Tuesday morning shave will be with an Ali's Blade, Ojii Chan 13/16. I love the shape of this razor, and it's a good shaver. However, Bame.Be makes almost any razor a good shaver.